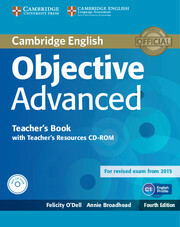 This Teacher's Book includes teaching notes, answer key and background information corresponding to the 25 units of the Objective Advanced Fourth edition Student's Book. The Teacher's Resources CD-ROM includes 12 progress tests and unit-by-unit wordlists both with and without definitions. 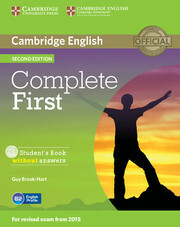 Complete Cambridge English: Advanced practice tests are available online.